Here is a sneak peek of Figma Kamen Rider Incisor action figure from American TV series Kamen Rider Dragon Knight manufactured by Max Factory. The image was taken from this month's issue of Hobby Japan magazine. With this release, it seems that Max Factory is planning to released the whole riders in the series, and that can be a good news. Figma Kamen Rider Incisor is set to be released in January 2011 and priced around 3,000 Yen. 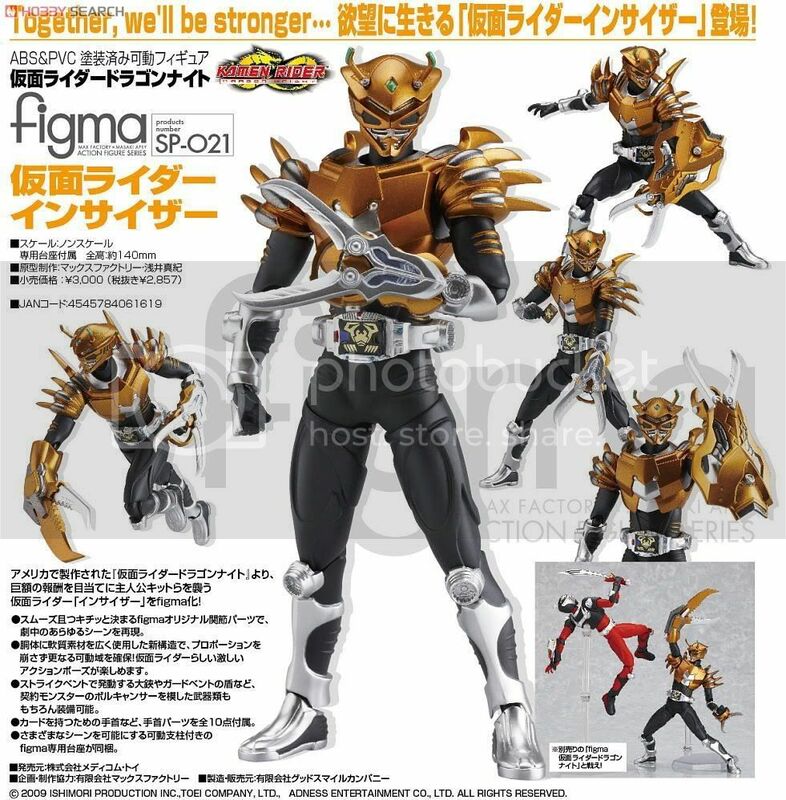 This Figma is also exclusive just like the others Figma Dragon Knight's series.